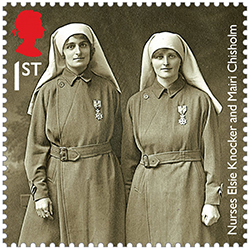 A century ago, Elsie Knocker and Mairi Chisholm were among the most celebrated women of the first world war. Nicknamed the Angels of Pervyse, they were lauded far and wide for their work helping to save the lives of soldiers on the Western Front. Countless newspaper columns praised their activities and their bravery, and made was much of their unconventionality – both loved nothing more than tearing around on motorcycles, for example. They even attracted VIP visitors, including royalty, to their nursing station in Belgium. Yet when writer and historian Diane Atkinson first came across their story almost a century later, they had been all but forgotten. Over the past four years, there have been many efforts to commemorate different aspects of the first world war, culminating in events this month to mark the centenary of the Armistice. Although most of the focus has been on the men of the war, there have been some attempts to commemorate the role of women, including nurses. In June, a sculpture naming the professional nurses and volunteers who died in the two world wars was dedicated at the National Memorial Arboretum in Staffordshire. This week, the story of Elsie and Mairi will be aired at a special event at the Royal Society of Edinburgh. 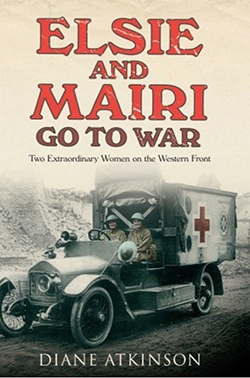 Dr Atkinson will read excerpts from the book she wrote about the pair – Elsie & Mairi Go to War: Two Extraordinary Women on the Western Front – and will discuss the war-time role of nurses more generally with retired nurse lecturer Alison O’Donnell. This is a shame for many reasons, she says, not least because the impact of war on nurses has not been appreciated properly. 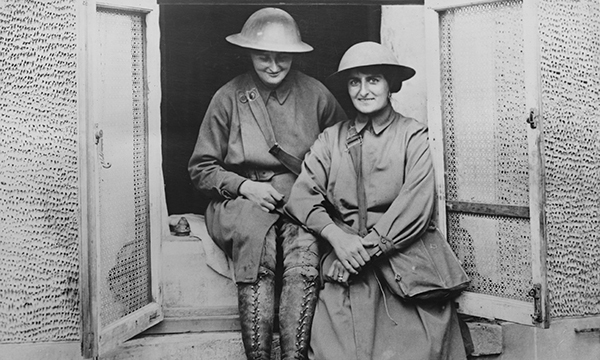 ‘I’m convinced a lot of women suffered from shell shock – they lost their sanity nursing in the first world war,’ she says, adding that this wasn’t recognised in the same way it was with soldiers fighting on the front. Certainly, Elsie and Mairi’s experience was horrendous. Based partly on their diaries, Dr Atkinson’s book tells how they ventured onto the battlefield to retrieve wounded soldiers, dodged bullets and treated soldiers suffering the dreadful injuries of war. One section describes how they coped with victims of shelling, some of them with their brains hanging out. 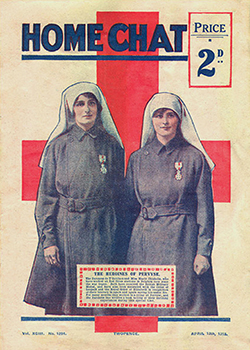 RELATED: First world war: can you help solve the mystery of the nurses of Wrest Park? Although both women were praised for their nursing skills, only Elsie had formal training. Some years older than Mairi, she had bravely divorced her violent and adulterous husband in 1912 at the age of 30, then trained as a midwife in an attempt to supplement her income and support herself and her young son. Mairi, on the other hand, was just 18 when the pair met (at a motorcycle club in Bournemouth), and it is clear from the book she felt something like hero worship for Elsie. As the daughter of an upper-class Scottish family, she had no need to take the risk of going to Belgium to ‘do her bit’, but she did so enthusiastically, learning nursing skills ‘on the job’ from her mentor. each year of the war. Dr O’Donnell, who recently retired as a nurse lecturer at the University of Dundee and who has developed a keen interest in nursing history, believes the role of women in such events in history has been unfairly neglected. ‘We often hear a lot about men, but not about women – it is ‘his-stories’ not ‘her-stories’ that are at the fore,’ she says. Dr O’Donnell, who volunteers in the RCN archives, says it is vital that nursing history is recorded and shared. ‘I’m a believer of the idea that if you don’t know where you’ve come from, you don’t know where you’re going,’ she says. Commemorating the stories of Elsie and Mairi and others like them is an important start.